Heading to Disney World for the first time? 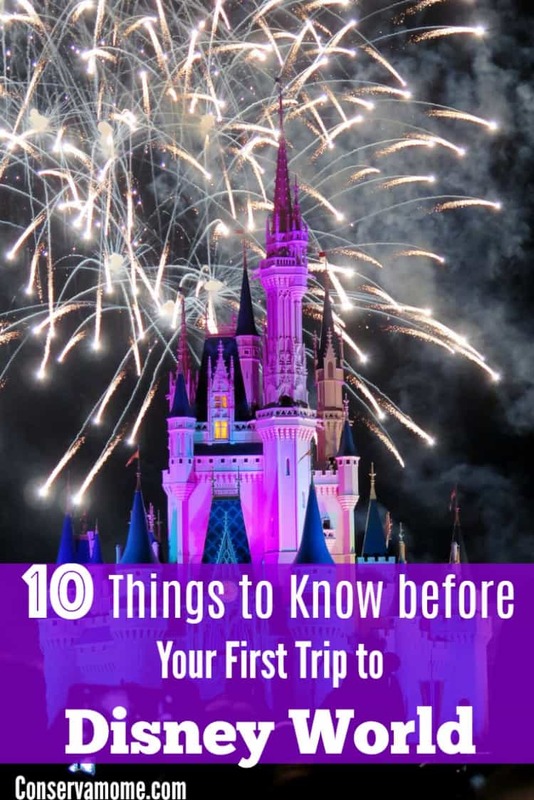 Here are 10 Things to Know before Your First Trip to Disney World! Going anywhere for the first time can be nerve-wracking. Disney is the happiest place on earth, but also the costliest. You want to do things right the first time. Whether you want to get the most of your experience or not throw money away, here are 10 things to know on your first trip to Disney. You can try and save as much money as you want at Disney World, but one thing you should know is that it is expensive. Disney has thought of everything and you’ll pay a pretty penny for it. Everything from renting a stroller to buying water is pricey. Unless you bring your own, prepare to pay. #2. Strollers are hard to navigate. While you may not want to deal with a stroller, you may break down and bring your own or even rent one. The truth is, strollers are hard to navigate throughout Disney. It is possible to NOT bring a stroller, if you’d rather carry your baby in a baby carrier. If you have a toddler, the adults can take turns carrying the small child. Most rides don’t allow strollers so even if you have one you’ll probably need to park it somewhere. Strollers aren’t the only solution. However, they are a good solution. #3. There are a lot of people at Disney. Sometimes you aren’t prepared for how many people are at Disney World. When you walk around one of the parks for the first time, it might be a little overwhelming to try and get around everyone. Just know, before you head out that there are many people who visit Disney daily. #4. Magic Kingdom is the most popular park. All the Disney parks can be busy, but without a doubt, Magic Kingdom is the busiest. It offers parades and character spotting that you may not see at the other parks. If you’re visiting Disney World for the first time, it’s often recommended that you visit Magic Kingdom. #5. Free water is available. Instead of paying $3 for a bottle of water, know that you can get water for free. There are water fountains at each bathroom stop. You can also fill up your water bottle at quick service restaurants. Just ask for a free cup of water and fill your water bottle with it. Most restaurants will fill up a kid’s water bottle for them as well! Don’t be shy about asking for water, it’s important that everyone stay hydrated. #6. Download the My Disney Experience App. Something that will make your life way easier is the My Disney Experience App. This app can help you book FastPasses and even help you navigate where you’re going. Basically, you’re going to be able to keep up with your schedule and so much more, when you use the app. #7. Take some time to understand FastPasses. When someone goes to Disney for the first time, they don’t understand what a FastPass is. Please, read up on the benefit of these. Every Disney party gets “3” FastPasses for the day and you can even schedule these in advance, it’s awesome. Plus, once you’ve used your 3 FastPasses, you can schedule one at a time, depending on availability. Ride Share is also an amazing perk, if you have smaller children and older children who cannot ride the same rides. Ride Share allows you to “swap” with your spouse, so you don’t have to wait in line again. #8. Magic Bands do make your life easier. If you stay at Disney Resort, you get complimentary magic bands. These Disney Magic Bands help you get into your hotel room, access to FastPasses easily, and purchasing foods. If you’re on the Disney Dining Plan, the Magic Bands are a must. You don’t have to worry about carrying your ID around or even your debit card, purchases are easier than ever! #9. Don’t be shy about asking questions. The Disney employees are there for a reason. It can be difficult to navigate around the Disney parks. When you see an employee and have a question, don’t be shy about asking. It’s important that you get good directions or that you find the bathroom. They are used to the questions, so don’t be shy! #10. Take advantage of Extra Magic Hours. When you stay at a Disney Resort, you can take advantage of Extra Magic Hours. This means that Disney offers “extra” hours to guests who stay at the resort. Just make sure you ask around because the hours vary. That’s why I’m always a huge proponent of staying at a Disney Hotel. Not only do you have Extra Magic Hours but you also have an easy way to get around with hotel shuttles to and from resorts. When it comes to Disney World, you must realize it’s a theme park. Magical things do happen, but also be realistic about your visit. It’s going to be an amazing time, but keep all these tips in mind, especially if you’re visiting for the first time. Looking for some Fun activities & crafts to make before your trip? Check out 50 Disney Crafts for your Disney Vacation! These are all great things to know,personally I don’t think it is worth the cost. I didn’t know about the extra magic hours. Thanks for the info. We haven’t been to Disney as a family yet, but these are great tips! I went before I was married and really loved it – even as a teenager. I appreciate your first point though. It is expensive. There are lots of ways to save, but it is still expensive. So many people forget to write that in their Disney posts – so this was such a fresh breath of transparency! I have never been Disney, but really thinking to take my boys this summer. Thanks for the tips. We haven’t taken a Disney trip as a family yet and I appreciate these straight forward tips/reminders. I Pinned it to save for when we do. Such great tips. We are toying with the idea of taking the kids this year. These are definitely things I will keep in mind. I have never been to Disney but I plan on visiting soon. These are all helpful and amazing tips. Thanks for sharing. Have not been in many years, but we were told way back that the best thing to do was head straight to the back of the park when you get there (at opening time) and work your way toward the front because most people will do the opposite. I thought it worked pretty well. I’ve been on many Disney World visits and some days navigating the crowd wasn’t nearly as bad as I expected. And we ALWAYS bring our stroller and our own water to save money. Mainly, with the stroller, we just have to expect people will try to cut you off in them. We combat it by looking confident and in charge so that people don’t walk in front of us. As a Disney lover here who goes at least once to twice a year now, I couldn’t agree more with all 10 of your tips here for newbies, especially the strollers as we have truly found just how not fun they can be navigating. And yet they are a necessity with young kids as there is no way that very young kids will be walking the length of the park over and over. Just too much walking in our experience for their little legs. So stroller is needed, but definitely not fun to navigate in heavy Disney crowds.